Weather lore is spoken and written folklore consisting of rhymes, anecdotes, and adages meant to predict upcoming weather. 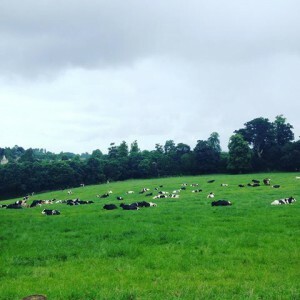 Have you heard of the warning for rain when cows lay down? Or what about “Red sky at night, sailor’s delight. Red sky in the morning, sailor’s warning.” These are both perfect examples of weather lore. Most common are predictions about winter, and most specifically – December. The Old Farmer’s Almanac rounded up the most widely spread December folklore…have you heard of these? On St. Thomas’s Day (December 21) the winter takes its full power. White Christmas, green Easter. Green Christmas, white Easter. If December is rainy, mild and unsettled, the winter will not be harsh. If December is cold and the earth is covered with snow, next year’s rye will be in abundance. If there’s thunder during Christmas week, the winter will be anything but meek. If Christmas day be bright and clear, there’ll be two winters in the year. A green Christmas brings a heavy harvest. So many hours of sun on Christmas Day, so many frosts in the month of May. If the sun shines through an apple tree on Christmas, there will be an abundant crop of apples in the coming year. If it rains on Christmas, there will be four weeks with no sun. The wind at the end of Midnight Mass will be the dominant wind in the coming year. A windy Christmas is a sign of a good year to come. If there is much wind on Christmas Day, trees will bear much fruit. If the wind grows stormy before sunset on Christmas, expect sickness in the coming spring and autumn. If it snows on Christmas night, there will be a good crop of hops next year. If at Christmas, ice hangs on the willow, then clover may be cut at Easter. A bright Christmas foretells that hens will lay well. A dark Christmas foretells that cows will give much milk. 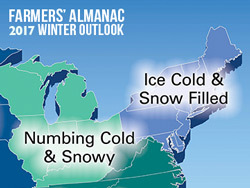 Speaking of weather predictions, have you read the outlook from the famous Farmers’ Almanac? While last winter was a reprieve from shoveling and high fuel bills, the party is apparently over. According to the 2017 Farmers’ Almanac, “winter is back!” We’re in for a cold and snowy one. The prediction warns of an active storm track that will deliver above-normal precipitation to the Southeast, Northeast and New England states throughout most of the winter, and especially in February. Have you ordered your wood pellets or wood brick fuel? Shop online at Woodpellets.com or call the experts at 1-800-PELLETS!